Then I understood this complete indifferent Phosphorus picture. There are different situations,according to the case. Be careful to believe, when someone is not so open or not so soft, that it can not be Phosphorus. Be careful !The Americans do not have time anymore in their life. They love the money and so on, they want to learn Homoeopathy within 2 minutes. They say, "All right, George will explain us.Homoeopathy, also about computer-systems. Well, George is sitting next to us and we will find the remedy immediately." That is the way that Americans react.They try to make a lot of money in less time, but without doing anything. Now, they come back and are disappointed about Vithoulkas. Why ? They say, "We have followed the essences, for example, the essence of Calcarea with his anxieties, the fear of what other people think about them and so on. Vithoulkas has given the essence of China, of Mercurius, of Phosphorus, but the essences are influenced. Let's have a look at the essence of Phosphorus: it is positive. The essence of Lycopodium is negative. The essence of Nux vomica is also negative, while the essence of Natrum muriaticum is positive. He has given personal values to the remedies, two negative remedies, two positive remedies. We may not judge. It is not allowed to say, "This is a good remedy, that is a bad remedy." There are no good remedies and no bad remedies. Whatever disease a patient may have, when you find the right remedy you will love him. That is the reason why they say in America that this system does not work. But the system works ! Do not act as little children and believe that ONE mental picture corresponds to one remedy, use your head ! When you have a patient with these mental symptoms, you know immediately which remedy it concerns. All right ! But the remedy has other sides that gives a completely different aspect. 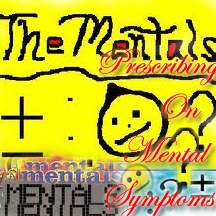 Therefore I say that you have to be careful in prescribing a remedy only on the basis of a mental picture. Look for a key-note, look for a mental symptom that you can grasp, on which you can rely. I can not only support on energy, I need something material, otherwise it will go wrong. Try to find a strong physical symptom, a strong desire, or another kind of pain; and then, if you find an appropriate mental picture - all right, then you can give the remedy.